Semi-articulating right rotator cuff model has an encapsulated humerus that is removable from the capsular ligament of the shoulder joint. 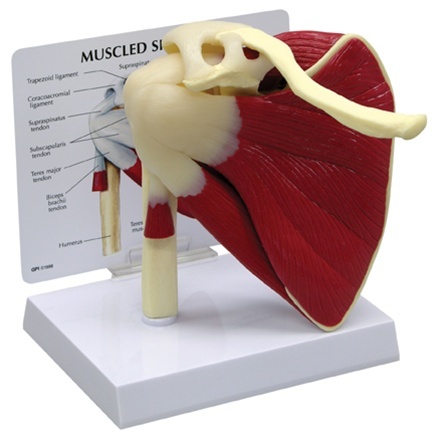 Model includes ligaments and the infraspinatus, teres minor, teres major, subscapularis and supraspinatus muscles. Includes removable patient education card and plastic base. Size: 5" x 6" x 6".